What To Do for Sugar Cravings!! 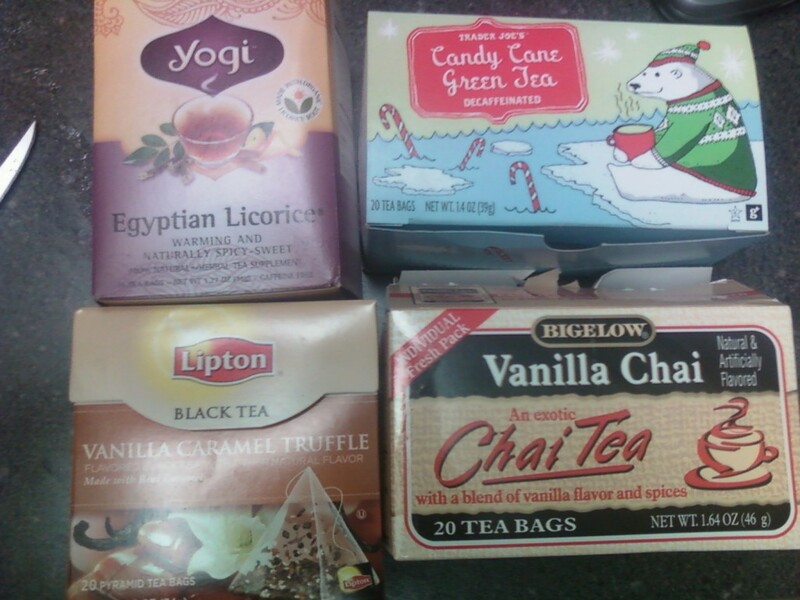 These teas are LIFESAVERS for me at night when I have cravings!! The Egyptian Licorice is my favorite, but is harder to find (I got mine at Safeway in the organic section) but the Bigelow one you can find almost anywhere. The Vanilla Chai does have a little caffeine it, but it never seems to bother my sleep. Having a warm liquid in my stomach for some reason seems to curb any cravings. Also, all of these are naturally sweet, but no sugar, carbs or calories. I drink 2-3 cups of tea a day. Here is a video I made talking about it. I love peppermint tea too…and a couple of weeks ago I read that people who ‘smelled’ peppermint throughout the day ate less total calories than those who didn’t…guess drinking the tea may help too. Do you put anything in your tea, or just drink it plain? ?